Hindu College has been one of the most famous colleges of Delhi University ever since its inception. The college has catered to the talents of numerous young students that walk into its premises every year and has provided them a platform to bring out the best within them. The college has been active in all spheres- academics, extra-curricular activities and sports and the legacy its students have left behind is unmatchable. DU Beat brings to you ten famous personalities who graduates from Hindu College and managed to make a mark on this nation of 1.2 billion. 1. Imtiaz Ali: Rockstar? Delhi University? Strikes a chord? Yes, this critically acclaimed director nurtured his passion of theater at Hindu College where he was one of the founding members of the college’s dramatics society, Ibtida. 2. Arnab Goswami: Arnab Goswami graduated in Sociology from Hindu College. The Editor-in-chief of Times Now is loved by the News Hour viewers for the unabashed, bold and straight-forward questions he unleashes at the debating panel. While he has his fair share for critics, few TV journalists today have the “brand” that he does. With this, his show “Frankly Speaking with Arnab Goswami” has managed to win huge attention from the viewers, certainly assisting them in choosing the better (if not right) Prime Minister in General Elections 2014 (Women Empowerment, anyone?). 3. Adarsh Shastri: Adarsh Shrasti, the grandson of the second Prime Minister of India, Lal Bahadur Shastri, is a Hindu College alumnus who has shown his prowess in both the corporate and political world. He worked in various technological and telecom companies like Samsung and Vodafone Essar India before taking on the role of Apple Inc India’s Sales Head. He then took his expertise in sales, marketing and building partnerships to the political realm by joining the Aam Aadmi Party in 2013. This career move, when he apparently left his one croreper annum-salary to become a political activist made headlines in the country. He now represents the Dwarka Delhi Assembly Constituency as its MLA after winning the elections for the same in 2015. 4. Meenakshi Lekhi: National Spokesperson for Bhartiya Janata Party, a Supreme Court lawyer, Member of Parliament from the high profile New Delhi Constituency; Meenakshi Lekhi’s achievements are numerous. A graduate in Botany from Hindu College, Meenakshi Lekhi has achieved great successes over the years. She is a very active social worker who has been the Chairperson of JPM Blind School, New Delhi. 5. Arjun Rampal: Arjun Rampal carries a lot more with him along with those impeccable looks. Seems like this ‘majestically handsome’ actor as most women swear knows a lot about Quantity Theory of Money and Production costs of a firm, given that he is a graduate in Economics from Hindu College. The actor, along with marital controversies, has been in news for his exceptional performances in “Rock On! !” for which he won the prestigious National award and “Rajneeti” which bagged him a black lady at the Filmfare awards. With this, he has also been a producer and television host. Talented much, Arjun? 6. Manoj Kumar: This iconic actor and director from the Indian film industry was once a student at Hindu College. Well known for being involved in films based on patriotism, he was honoured by Padam Shri in 1992-93. His most famous films include Wo Kaun Thi?, Roti Kapda Aur Makaan and Kranti. 7. Rekha Bhardwaj-Vishal Bhardwaj- Given the fact that Rekha Bhardwaj recently gave one of the most successful performances in Hindu College’s history of annual fests, it comes as no surprise that this melodious singer is an alumna of the college. Her husband, Vishal Bhardwaj, an exceptional film director and music composer belongs to the same college. While she has incomparable hits like ‘Namak Issq Ka’ and ‘Kabira’ to her credit, his ‘Omkara’ and ‘Haider’ are closest to perfection. Their list of accolades is endless; though the fact that both of them have been national award winners sums their achievements up! 8. 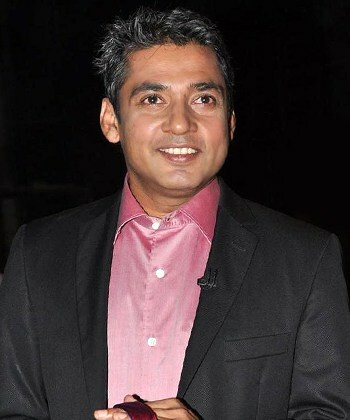 Ajay Jadeja- The former cricketer and a popular commentator graduated from Hindu College. Most applauded for his quick and hitting finishing of the overs, the right-arm medium bowler was a regular at the Indian Cricket Team from 1992 to 2000. However, a ban imposed on him on account of being accused of match-fixing was a major bump in his career. 9. Tisca Chopra- A graduate in English Literature from Hindu College, Tisca Chopra has been one of the most popular faces of Indian television industry. Most famous for her performances in ‘Kahaani Ghar Ghar Kii’ (remember that never-ending show?) and ‘24’ (remember that show which ended too soon? ), her roles in films like ‘Taare Zameen Par’ and ‘Dil to Bachcha Hai Ji’ managed to win her loads of acclaim. 10. Gautam Gambhir- Besides his exceptional swearing abilities on the cricket ground, Gambhir is well-known for his opening skills on crease. Graduating from Hindu College, he joined the National Cricket Academy after a few years. He was also conferred the Arjuna Award in the year 2008. Other than being highly popular amidst female cricket fans, his impressive captaincy bagged the coveted IPL trophy to his team Kolkata Knight Riders twice- in 2012 and 2014.